If your commute involves walking then you’ll have probably witnessed the “Phone Zombie”. 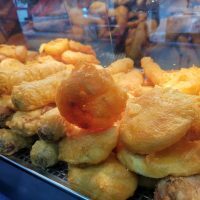 It’s a creature that stares blankly into a mobile phone without really paying attention to their direction or surroundings. Usually there’s a few last-minute turns as the person (or you) changes direction before hitting something. 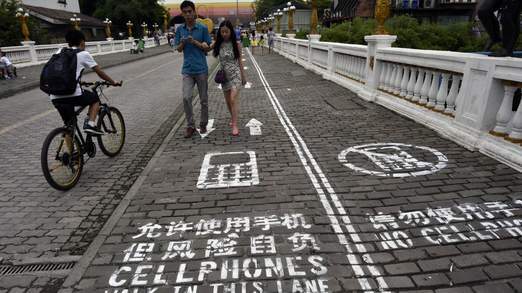 In China they’ve tried to address this, and have introduced a “phone lane” on the footpath. Part of the pavement is reserved to those who dawdle along, holding up the human (non-Zombie) traffic behind. So far, it’s been a bit of a failure because the Phone Zombies haven’t seen the notices or other non-Zombies have walked into the Zombie Zone. Add the fact that Phone Zombies are stopping to take pictures of the Zombie Zone and, well, you’ve got an even bigger problem. More detail on this Sky News story.